At Jerstrup manor you have the opportunity to spend a holiday less ordinary in historical surroundings. 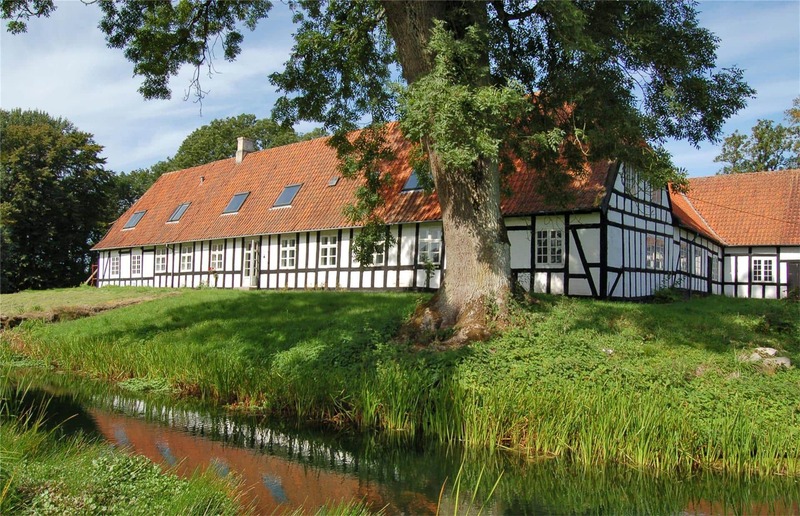 The manor is situated in the beautiful landscape of North Funen, not far from the main road between Bogense and Odense. Jerstrup manor is located on a 35000 m plot surrounded by moat, forest and lakes. The manor can be dated back to the 13th century and has been inhabited by counts and lords, and the royals have also visited Jerstrup manor. If the walls could talk they would reveal some exciting details of Denmark´s history. Today, the manor is owned by the owners of Harridslevgård, and they have gently renovated the manor. Jenstrup manor has totally 1000 m and includes 18 exclusively and individually decorated rooms with own bathroom. From 2 of these bedrooms you have to cross a small hallway to get to the bathroom. 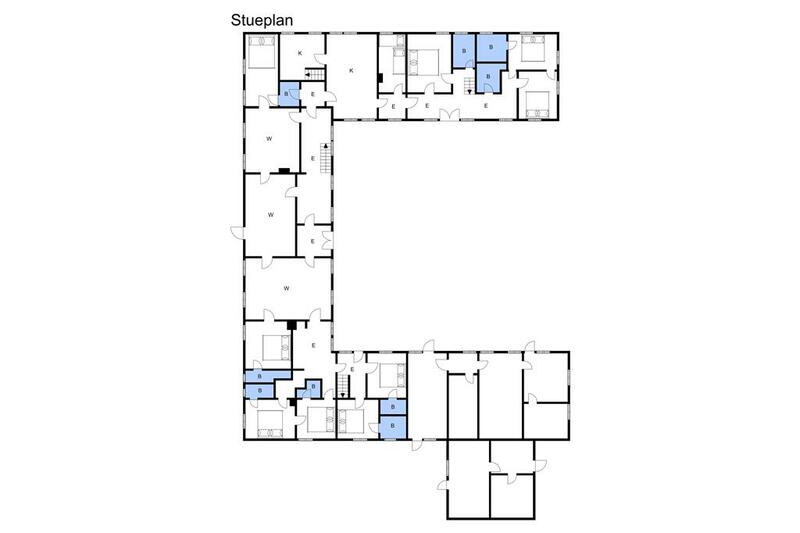 The bedrooms are located on the ground floor and on the 1st floor. The cosy dining room offers space for 40 persons. The beautiful conservatory where 32 persons can be seated is located right next to the dining room. Therefore, the conservatory can be turned into an integrated part of the dining room. It can also be used as a separate meeting room. Both rooms are decorated tastefully, and from the conservatory you can access the large garden. There is a large modern kitchen with all dining equipment for 72 persons. Furthermore, there are 3 sitting rooms which can be used for meetings or relaxation. If you wish to be active during your stay, you have the possibility to rent mountainbikes. Jerstrup manor is the perfect place for a wedding. It also addresses families who wish to spend a holiday less ordinary, but it is also very suitable for meeting and courses. As a tenant you are welcome to take care of the catering, but the manor is also happy to help with catering and waiters. You can rent this holiday home online for a minimum of 3 nights all year. If you are interested in booking 1-2 nights with arrival Monday, Tuesday and Wednesday, please contact the office.